The Germans aren&apos;t the only ones who can play the tuning game. Although Topcar is still fairly new to the industry, the Russian aftermarket tuner has been busy lately building their reputation. After their display at this year&apos;s Essen Motor Show (the European equivalent to SEMA), the tuner has unveiled their latest project, called the Vantage GTR 2, based on the newly redesigned Porsche Cayenne SUV. 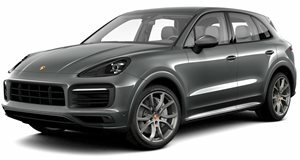 With a production run of just 50 units, the package overhauls the Cayenne with a full bodykit composed of Carbon Kevlar and carbon fiber components such as front and rear bumpers, bonnet, extra-wide wheel arches and a rear diffuser. Topcar also added a set of sharp two-tone black and white alloy wheels. Based in Moscow, Topcar also upgraded the Cayenne&apos;s engine output, with it now ranging from 550 hp to 750 hp. Full details haven&apos;t been released yet, but Topcar is promising their tuning efforts will place themselves amongst the best Europe-based tuners.